Funkmaster Flex in real life. 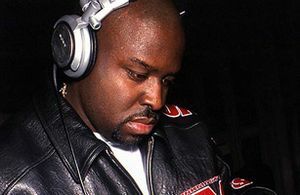 Funkmaster Flex (real name Aston George Taylor, Jr.), also known as Funk Flex, is an American Hip-Hop DJ who is the radio DJ of The Beat 102.7 in both of the episodes of Grand Theft Auto IV, namely The Lost and Damned and The Ballad of Gay Tony. He is an extremely prominent hip hop and reggae DJ. Since 1994, he has appeared on both television (Yo! MTV Raps), radio (Hot 97, which The Beat 102.7 is meant to parody) and mixtapes (60 Minutes of Funk) to promote music. He has recently expanded to the custom car subculture, with several television shows and a line of footwear. This page was last modified on 26 April 2015, at 15:53.